Freebie May is upon us and what a freebie month it's been. Feelunique are my new best friends and you'll see why on this post. First up is the Benefit they're real mascara. 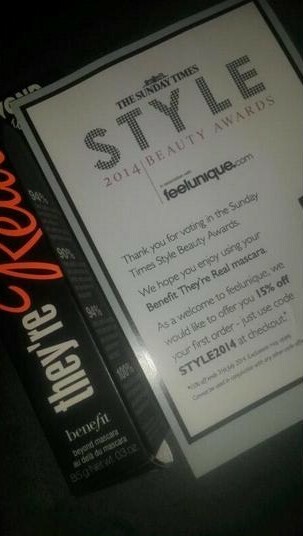 I got this after taking part in The Sunday Times style 2014 beauty awards sponsored by Feelunique. I voted and completely forgot about it, I didn't expect to win and once through my door it was a lovely surprise and even more so when I saw it was full-size. Remember when I wrote a post urging you all to enter the Feelunique #itsallaboutme t-shirt competition, well I was a winner. 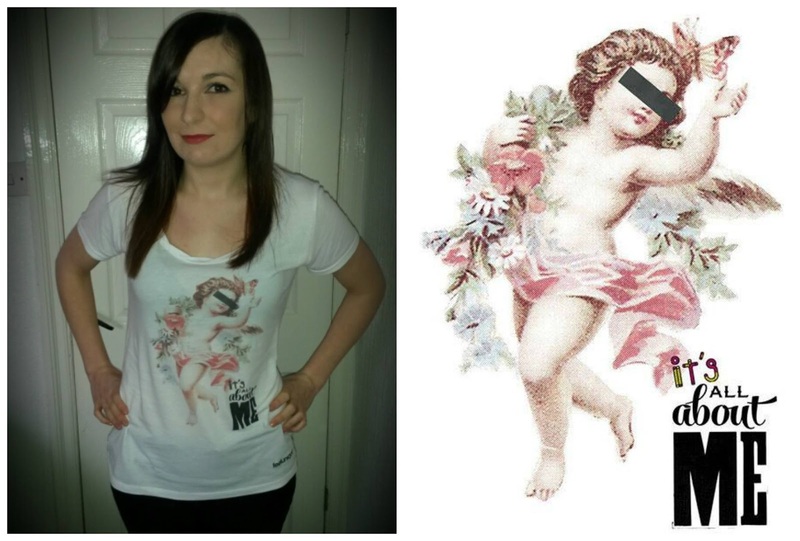 I was beyond ecstatic, 500 winners were chosen to get their t-shirt design and only ten winners for a £200 voucher to spend at feelunique. I wanted to share with you what I decided to purchase with the voucher. Feelunique are a company that mainly have higher end beauty supplies, so my £200.00 voucher didn't go a long way due to the cost of some items - I was so happy to try some more expensive brands that I've not tried before though and cheaper ones too. 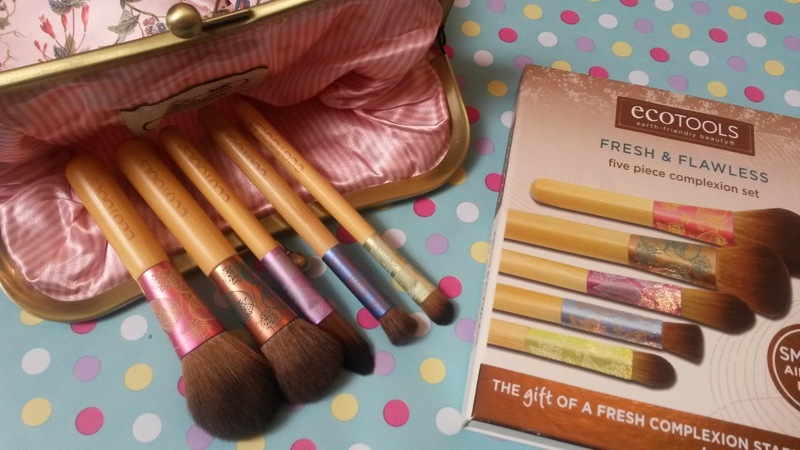 EcoTools fresh & flawless brush set - £11.99. I decided to pick up a mini brush set that's convenient for traveling for weekends away or holidays. I've tried EcoTools either but heard a lot about the brand. 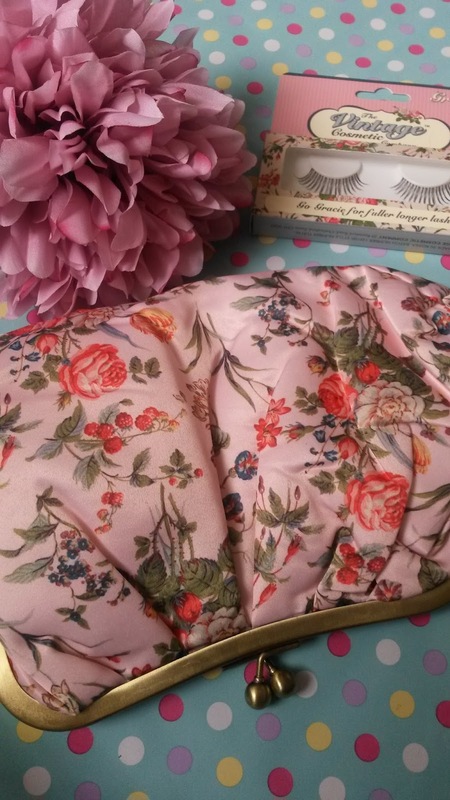 The Vintage Cosmetic Company makeup bag - £16.50 (Free gift - Gracie false lashes). I recently got my hands on the beautiful makeup bag by Ted Baker, I only wish now I'd of gone with the wash size bag - it would of been more practical. The Vintage Cosmetic Company is a brand I hear a lot about but not really used anything from them (not even the tweezers tucked in my storage drawers). I really was drawn to the pretty floral design of this vintage inspired makeup bag and it's so roomy and will easily fit in a palette and all the essentials I need for going away purposes. 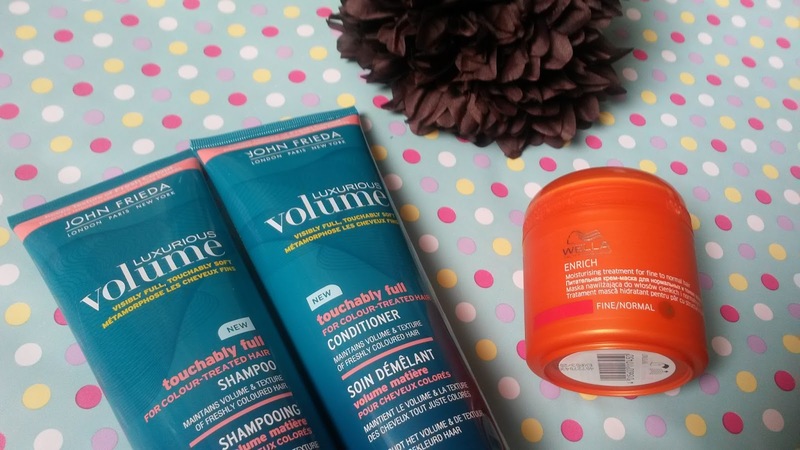 John Frieda luxurious volume shampoo and conditioner for colour-treated hair - 250ml, £5.89 each. Wella professionals enrich moisturising treatment for fine to normal hair - 150ml, £9.95. 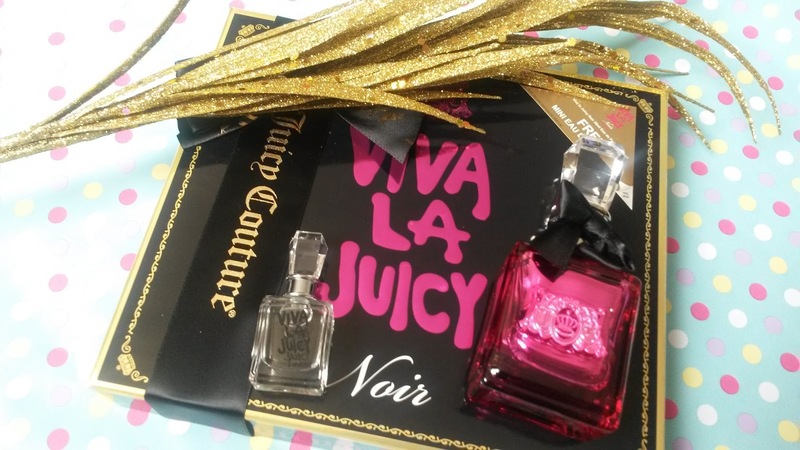 Juicy Couture viva la juicy noir giftset - 30ml, £30.60. After having a sneaky peak at the scent of my mother-in-laws birthday present, there was no way I was walking away from the laptop without this purchase. I was a fan of the original but I'm a bigger fan of the Noir version. 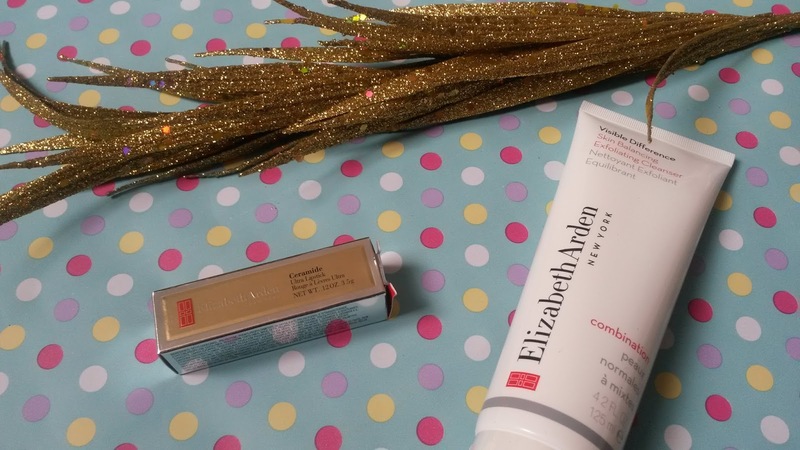 Elizabeth Arden ceramide ultra lipstick in melon - £17.00 and from the same brand; visible difference skin balancing exfoliation cleaner - 125ml, £15.30. 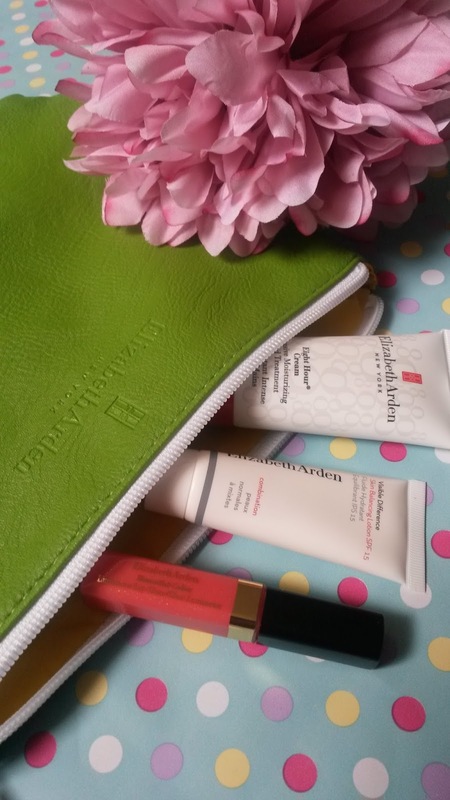 Elizabeth Arden exclusive eight hour cosmetic bag set. (Free gift with purchases above); This is such a cool free gift, full of great travel-sized products and a yellow/green retro makeup bag. The makeup bag is so roomy and more like a decent sized wash bag, not sure about the colours but I'm sure it will come in handy at some point. 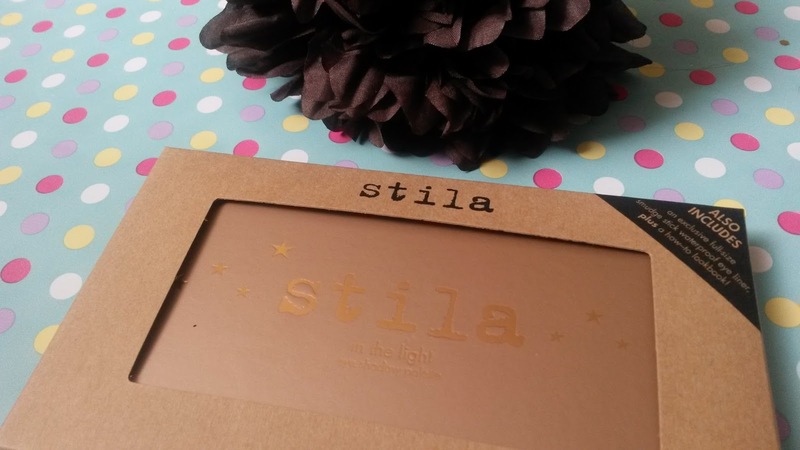 Stila in the light eyeshadow palette - £25.00. I believe I originally wanted a different palette from Stila but have found a love for neutral eye shadows lately and after seeing Zoe from Zoella's post about this palette way back in 2011/12 I was sold. 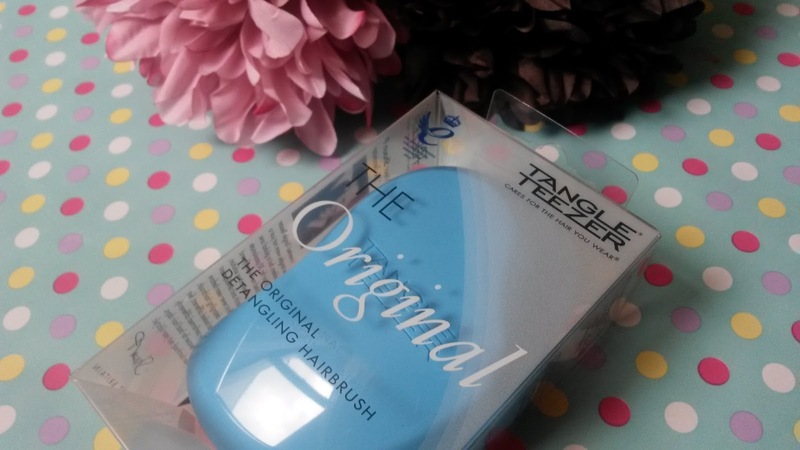 Tangle Teezer original professional detangling hairbrush in blue/pink - £10.20. I've wanted a Tangle Teezer for so long it's unreal, originally settled on the sparkly purple one (which was unavailable) I went for the pink and blue one - these are my two favourite colours so an obvious choice. NUXE reve de miel ultra-nourishing lip balm - 15g, £9.50. What do I say about this lip balm? well, lets start with this. Did I need it? No. I don't even or ever have suffered from chapped lips, however, for the upcoming (hopefully) hot summer months this will be perfect for keeping my lips fully hydrated. I was sold on the fact everyone raves about it and I was keen to know why. I picked up Tanya Burr polish from brand Eye Candy. I've never tried anything from Tanya Burr, be that the newly released nail polish or lip glosses that I've seen on practically everyone's blog recently. 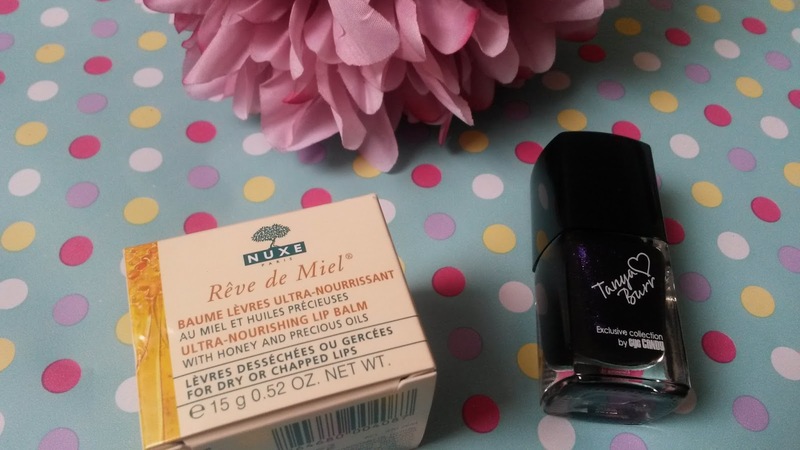 I chose Midnight Sparkles - £5.99 for 12ml. 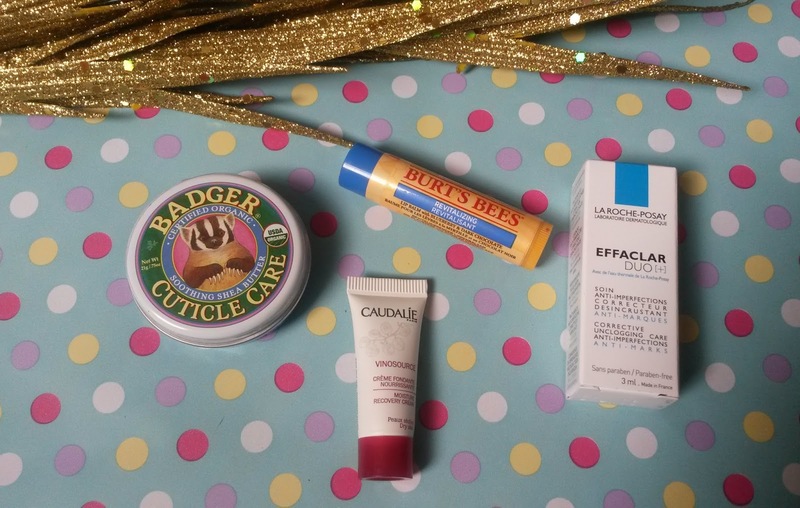 Badger Balm mini cuticle care - £3.99. Burt's Bees blueberry & dark chocolate lip balm - £3.69. I also got some free samples, I chose two from brands I've never tried. Urban Decay revolution lipstick in fiend - £15.00. 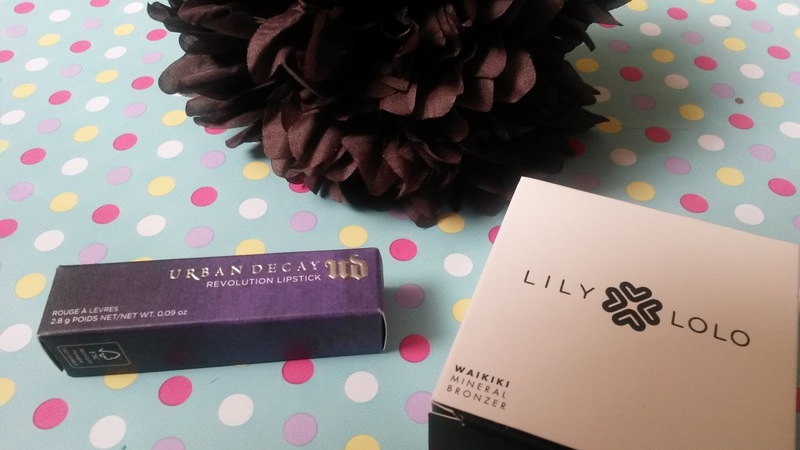 Lily Lolo mineral bronzer in waikiki - £13.49. Expect lots of reviews soon. Have you won any giveaways/competitions lately?